Your $10 donation includes lunch, fun memories, and a chance to be a champion for pets! 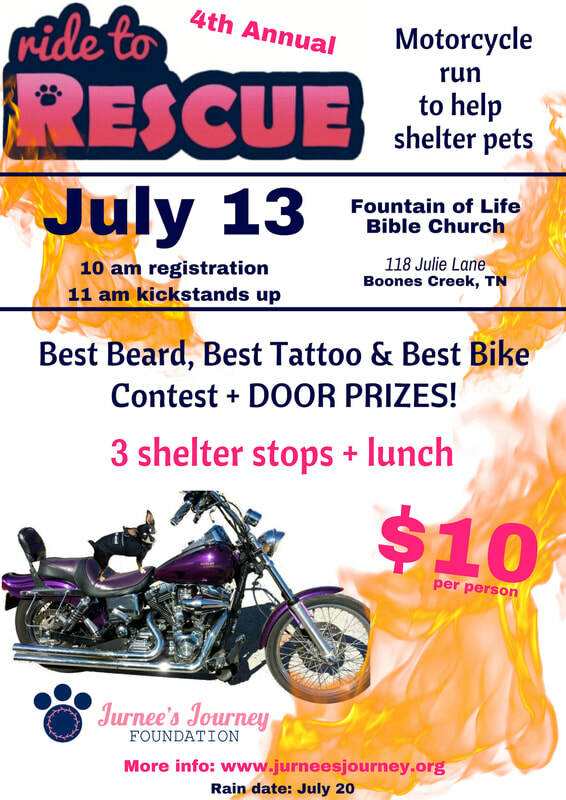 We are riding to 3 animal shelters in the Northeast Tennessee area! Bring any type of food, litter, or supplies to donate and you will receive an additional door prize ticket! Stay up to date on Facebook HERE! Let's RIDE to RESCUE our furry friends awaiting their FURever home! Pre-race donuts provided by Seaver's Bakery in Kingsport! Pre-race coffee provided by Cafe Lola in Johnson City!